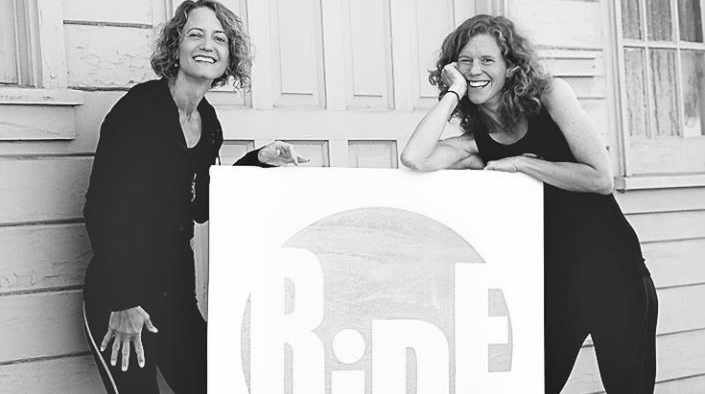 The two women who created RiDE Oakland know that if exercise is something we are supposed to do most days, it needs to be fun. Really fun. But it also needs to be challenging, body-changing, mind-changing, and a good bang for your buck. We feel we have achieved this at RiDE Oakland by offering an affordable intense full body indoor-cycling workout in an inviting, motivating, and friendly environment. Whether you come to improve your cardio fitness, build strength, torch calories, de-stress, meet people, or just get away to have an hour to yourself, you will leave very sweaty, happy, and ready for your next challenge. And did we mention it’s fun? RiDE Oakland offers beat-based cycling classes for all fitness levels. Whether you are an indoor-cycling newbie or an experienced outdoor cyclist, we guarantee you will get an awesome workout. In our view, indoor-cycling is the best form of exercise around. In a 50 minute class, you will burn 400-800 calories, strengthen your legs, arms and core, your heart will be getting its own workout, and your mind will re- focus and re-charge. At RiDE Oakland you can pay per class or buy a package of classes. No need to purchase a membership or be tied down to a gym. We are Oakland's first dedicated indoor-cycling studio and that means you will get the benefits of a small studio experience; fresh towels, a beautiful space, top-notch instructors, state of the art bikes and a friendly and supportive staff. Come in for a RiDE and see for yourself!